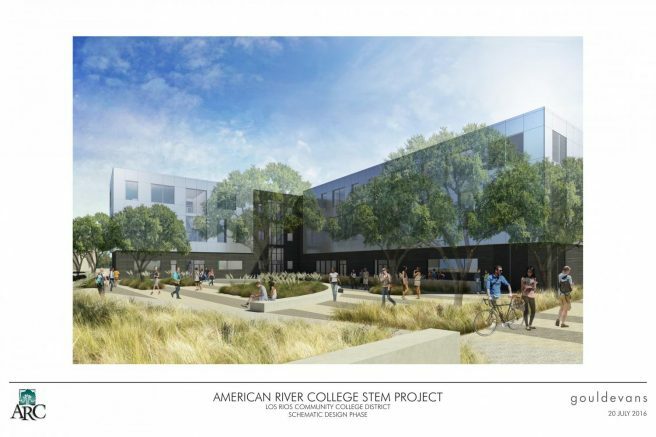 American River College will be undergoing more construction in March 2018 as crews prepare to demolish the current Liberal Arts building and erect a new one in its place. The Liberal Arts building was built in the 1960s. According to Scott Crow, American Rivers Public Information Officer. ARC has wanted to give the Liberal Arts building an upgrade for a very long time. It will be referenced as the STEM facility (Science, Technology, Engineering and Mathematics). Planning for the project started several years ago. Many of the rooms in the new building will be interdisciplinary so they can be used by multiple departments. The STEM project will improve the chemistry and biology departments by bringing them closer together. They are currently split apart which makes communication between the two departments difficult. The facility is expected to be completed in 2020, which means students and faculty will probably be seeing a lot of construction, according to Crow. ARC has planned for all foot traffic and will make accommodations during this time. Phase one will be preparing temporary buildings in Lot B to hold classes while the new Liberal Arts building is under modification. The temporary building will be utilized for the next three years while the STEM building is being completed. These temporary buildings will be ready to use in Spring 2018, according to Crow. Infrastructure and demolition of the Liberal Arts building will continue into Fall 2019. A hydronic line will be put in place at the same time. This line will run from the Fine Arts Building to the STEM building. If students or faculty need a resource for new information pertaining to the ongoing construction, click the link below for updates on what is taking place on campus. Be the first to comment on "ARC to demolish buildings to make room for new STEM facility"